Image caption Could Spanish concerns scupper Brexit progress? How much of a threat is the Spain/Gibraltar question to the Brexit summit on Sunday? Well, it could turn out to be either huge or simply a puff of smoke. Madrid and Downing Street say they are working on it. There's not much time left for the question to assume either form. UK Prime Minister Theresa May meets EU leaders in Brussels to sign off on the Brexit texts in just over 36 hours. Grandstanding for his domestic audience aside, Spanish Prime Minister Pedro Sánchez feels hoodwinked and angry. Gibraltar is of great national interest, and hurt pride, for many Spaniards. It became official government policy during the Franco dictatorship to get back what Spaniards nickname "El Peñón" (The Rock). After the UK's Brexit vote, Spain at the very least saw an opportunity to re-gain considerable influence over Gibraltar. Eyebrows shot up in the UK at the very start of the Article 50 process when article 24 of the EU's negotiating guidelines stated: "After the United Kingdom leaves the Union, no agreement between the EU and the United Kingdom may apply to the territory of Gibraltar without the agreement between the Kingdom of Spain and the United Kingdom." In fact, though, the bilateral UK-Spain talks that then took place in parallel to EU-UK Brexit negotiations went extremely smoothly... until just recently. Spanish resentment started building after the EU's chief negotiator, Michel Barnier, and his team proposed going into a "tunnel" with UK negotiators - blocking out political and media noise - in an attempt to break the lengthy impasse over the wording of the Irish "backstop" - that guarantee to avoid a border between Northern Ireland and Ireland. It is during that tunnel moment that Spain feels it was "betrayed". 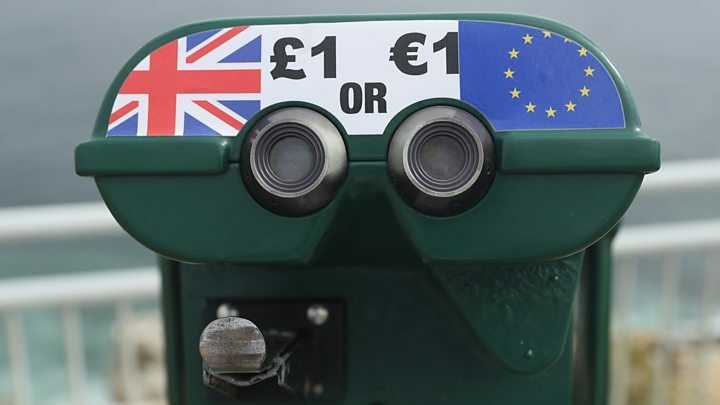 By the time EU and UK negotiators emerged, the Irish backstop had become a UK-wide customs area, meaning it was potentially straying into post Brexit trade deal territory. Yet neither in that text, nor in the draft of the political declaration on EU-UK future relations published on Thursday, is there mention of Gibraltar and the need for Spanish approval. Prime Minister Sánchez believes the positive attitude Spain had shown in bilateral Brexit talks over Gibraltar is now being abused; that Spanish national interest was sacrificed in the tunnel in order to offer an extra "sweetener" to the UK in wider Brexit negotiations. European Commission negotiators flatly deny this. But Spain is not alone in believing that priorities of individual EU countries were ignored during tunnel negotiations. France, Denmark and the Netherlands felt let down by their EU negotiators over pinning down ongoing fishing rights in UK waters in the political declaration on post Brexit EU-UK relations. We have now heard that the fishing issue has been "resolved" (for now). The details have yet to emerge. This means Gibraltar is the only outstanding issue ahead of Sunday's Brexit summit, according to the EU. Now, Spain's Prime Minister is hugely pro-European. He sees himself as a bit of a Macron number two. It is not in his nature to scupper EU plans or an EU summit. Remember when Italy's Deputy Prime Minister Matteo Salvini refused to take in migrant boats earlier this year, Mr Sánchez was the first to step in and help in order to avert an EU crisis - and also to win brownie points in Brussels. Pedro Sánchez is under a lot of domestic pressure. He heads a minority government and has been repeatedly accused by the main conservative opposition of being "soft" over Gibraltar in Brexit negotiations. He also faces elections in the politically significant Andalucia region on 2 December. A part of Spain that neighbours - you guessed it - The Rock. It is possible that Spain's prime minister has learned a lesson from Italy's deputy prime minister: that if you dig in your heels in the EU, you can get results. He knows, of course, that holding the Brexit summit now, in November, was at Theresa's May's insistence; that the EU thought it possible to seal the deal next month instead. This knowledge is in Mr Sánchez's back pocket. It's important to bear in mind that while Spain doesn't have an actual veto over the Brexit divorce deal, EU leaders need to reach decisions by consensus at their summits. They don't actually put up their hands to vote. There is no way they can rubber stamp a text designed for a leaving member (the UK) when an existing member (Spain) is so strongly opposed. 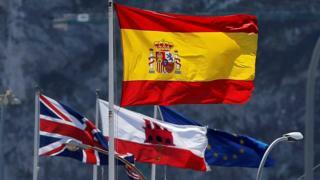 It is true, there is less EU solidarity with Spain over Gibraltar than there was with Ireland over the border issue. But the EU has been so proud about the very unusual unity amongst its members over Brexit, they won't want to give that up at this late stage. So, in effect, Spain could exercise a moral or political "veto" on Sunday. Which means that although Spain does not have a formal veto, it could exercise moral and political objections that would effectively stop other countries from voting against it. EU insiders don't think it will come down to that. They believe this can be solved without reopening the Brexit texts by noting Spain's insistence on continuing UK.-Madrid bilateral talks in a declaration added to the texts or other possible EU formulas. But even if Spanish opposition melts away before Sunday, the bitterness over Gibraltar, over fishing rights, over ensuring that the UK has no competitive advantages over European businesses in a post-Brexit trade deal, these are examples of the substantial obstacles the UK will face from EU countries in negotiating a trade deal with EU after Brexit. And that's a deal the parliaments of every single EU country - including Spain's - will need to ratify unanimously.